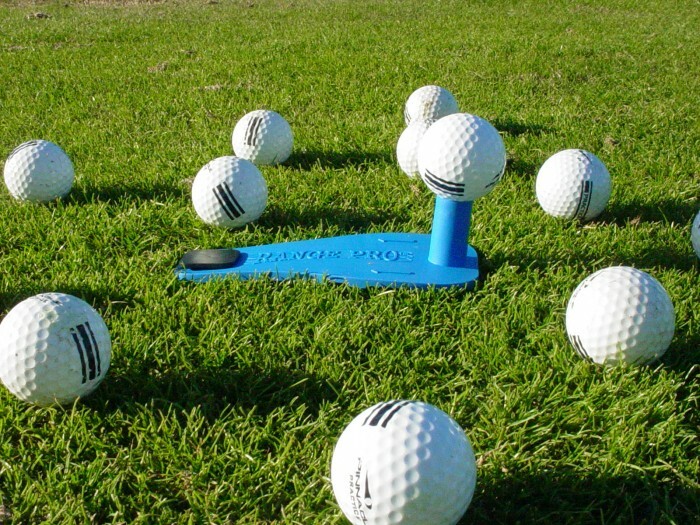 A high performance flexible golf ball tee apparatus specially designed for golf practice, said tee has a stake ( 24 ) that is fitted and a base ( 22 ) that has a cylinder ( 20 ) on one end. Said base ( 22 ) has a slot ( 32 ) that is fitted, opposite the cylinder. The slot ( 32 ) allows the stake ( 24 ) to penetrate through the base ( 22 ) and into the ground, holding the whole apparatus in place and not letting it rotate, allowing this apparatus to remain in place so that a person can strike a golf ball with a golf club repeatedly from this tee without having the tee break off or fly onto the golf driving range, avoiding consistent replacement of a conventional golf tee. We are looking for a Partner or a full sale of the product. We do not make enough to market this item ourselves. We need a stragic partner who can help with marketing and promoting. We will sell for the right price. I can share some stats that we have collected since starting we have shown this item to a little over 12000 people; and we have sold over 4000 units. It has been a great percentage of sales per viewed, but that has not made us enough to advertise and take this to the next level. 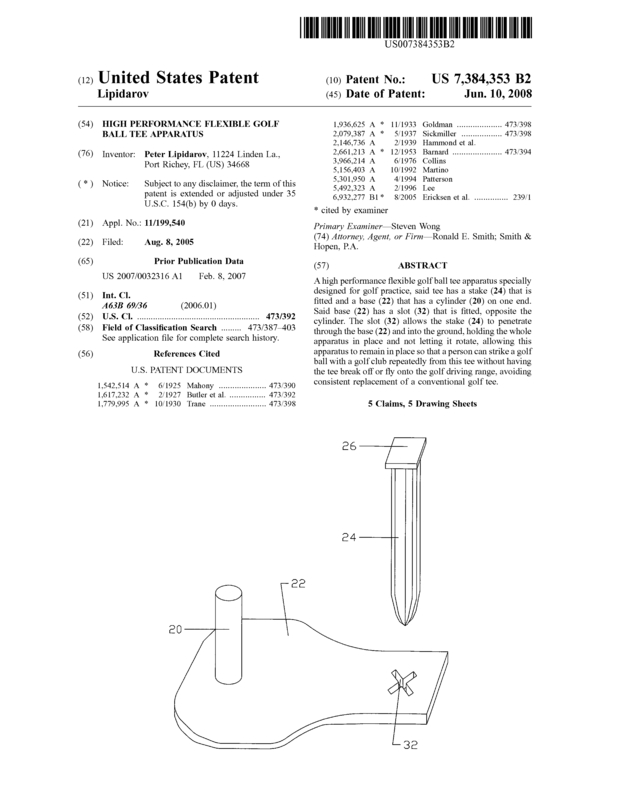 Page created at 2019-04-25 0:20:09, Patent Auction Time.